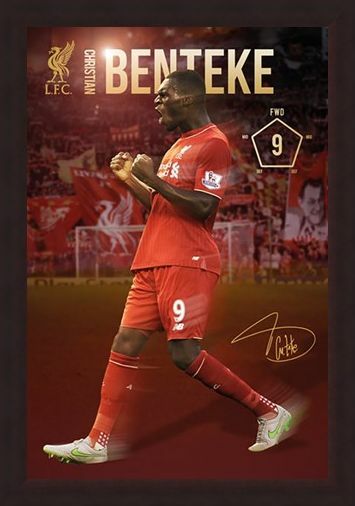 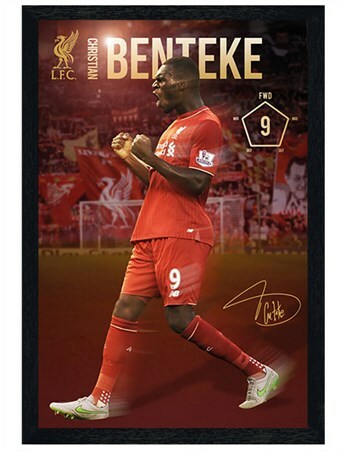 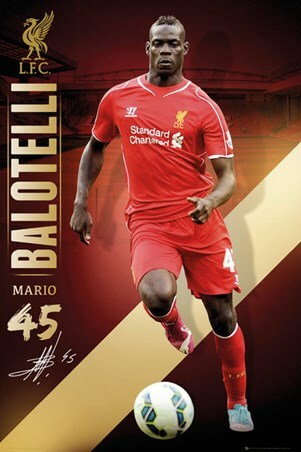 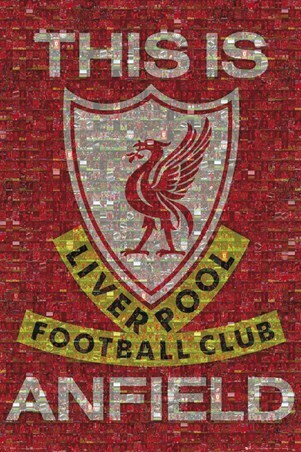 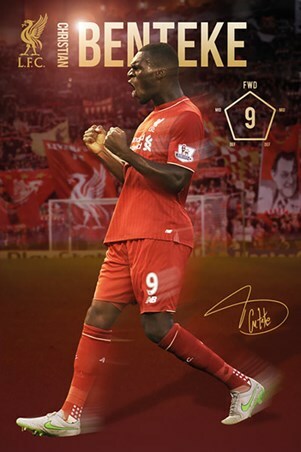 Sport Maxi Poster: After signing to Liverpool Football Club in 2015, Christian Benteke made an impressive start and scored his first league goal in a 1-0 win over Bournemouth soon after joining. 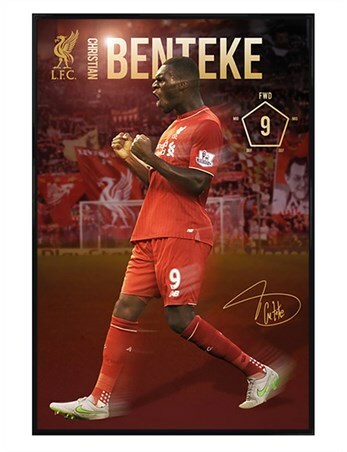 Clearly having just scored a goal in this poster, the Belgian striker can be seen shouting in joy at his achievement - with the encouraging fans visible in the background, show your support for this epic player by hanging this action packed poster on your wall! High quality, framed Christian Benteke 2015/16, Liverpool Football Club poster with a bespoke frame by our custom framing service.